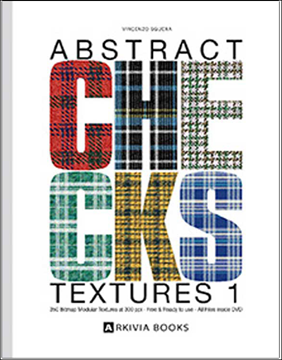 The world of Tartan and various Checks comes back into fashion. However, something new needs to be done if possible. My research tries to combine this classic world with new patterns. First, de-structuring and then re-assembling these geometries in a different way, overlapping or breaking lines, moving or dirting with other images or colours. 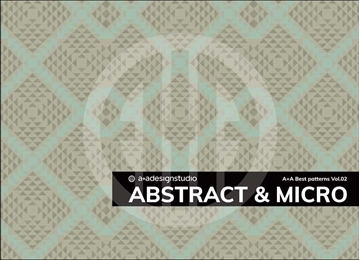 No rules or restrictions but in the freedom of abstraction. 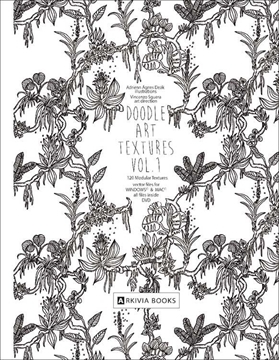 This style is linked to my research on the GRUNGE GEOMETRIC TEXTURES project, but unlike this, I would like to add to the fragmentation of the lines, also that of structures and colours, creating new atmospheres resulting from these processes. Our eyes now no longer see what we always look at if there are no discontinuity elements from the ordinary. But will they be equally pleasing to look at as the old habitual schemes? Taste changes and evolves over time and perhaps this will happen. Klassisk vintage bok med fokus på jakt, fiske, ridning och naturen. 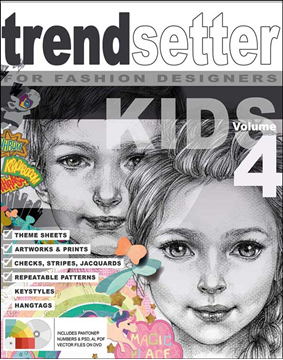 The trendsetter "KIDS Graphic Collection Vol.4" contains a comprehensive graphic package of young and fresh design ideas which take you to a fascinating world of fantasy, fun and creativity. With an expanding newborn section this book provides an optimal basis for strong-selling newborn, baby and mini collections. Här finner du fina & roliga mönster och med en gnutta fantasi och påhittighet så kan du skapa de mest otroliga bilder. 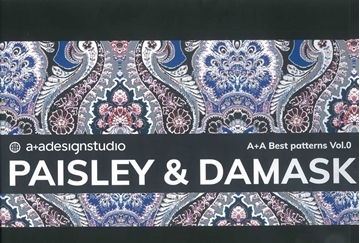 Paisley & Damask incl USB, A real bestseller one of the classical must have patterns that everyone needs in their own textile collection. Sophisticated, traditional, elaborated, rich of details. 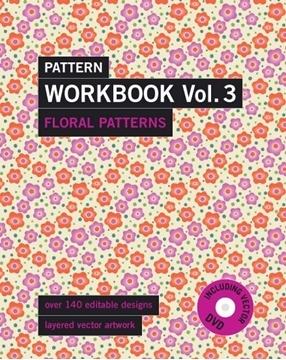 With every pattern xou can create a lot more. 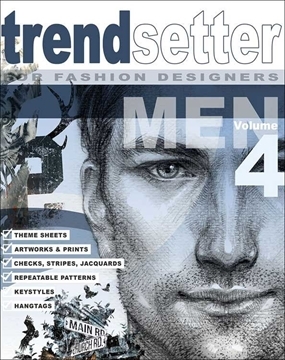 The new trendsetter “MEN Graphic Collection Vol.4”: COOL LOOK - FRESH LAYOUT - EXTRA KEYSTYLES - NEW PATTERN OVERVIEW - experience the new trendsetter feeling! From casual to sporty, from edgy to classic this book provides an inexhaustible graphic collection which is inspired from international trends of the men fashion area. 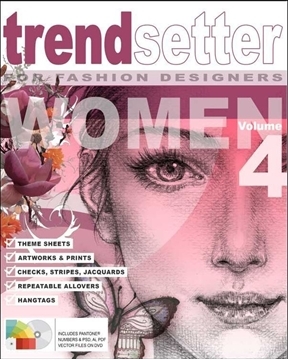 Young ideas, eye-catching colours and a lot of detailed work in the usual high-quality - designed by professional fashion designers. 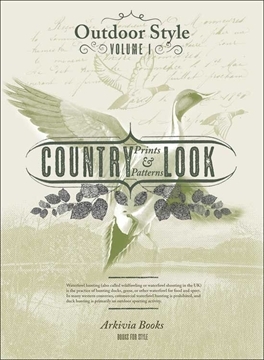 Facts: around 620 elaborated artworks - prints, applications, embroideries, labels, stripes, checks, jacquards and repeatable patterns - 40 trend themes, 60 colour themes with the belonging Pantone®Textile numbers and 60 keystyles. 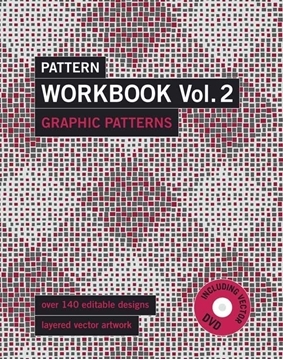 The book is accompanied by two DVDs with vector and pixel graphics in the file formats *.ai (Adobe Illustrator CS and later), *.psd (Adobe Photoshop CS and later) and *.pdf (for CorelDraw-Users X5 and later).